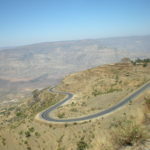 MARVELOUS ETHIOPIA TOUR is a local privately owned Ethiopian Tour Company; run by capable, well experienced and competent professional to handle your travel needs in Ethiopia. Marvelous Ethiopia Tour organizes all types of tours throughout the beautiful land of Ethiopia; rich in history, culture, nature and archeology. Our goal is to make sure that our clients enjoy our best services with unforgettable memories. 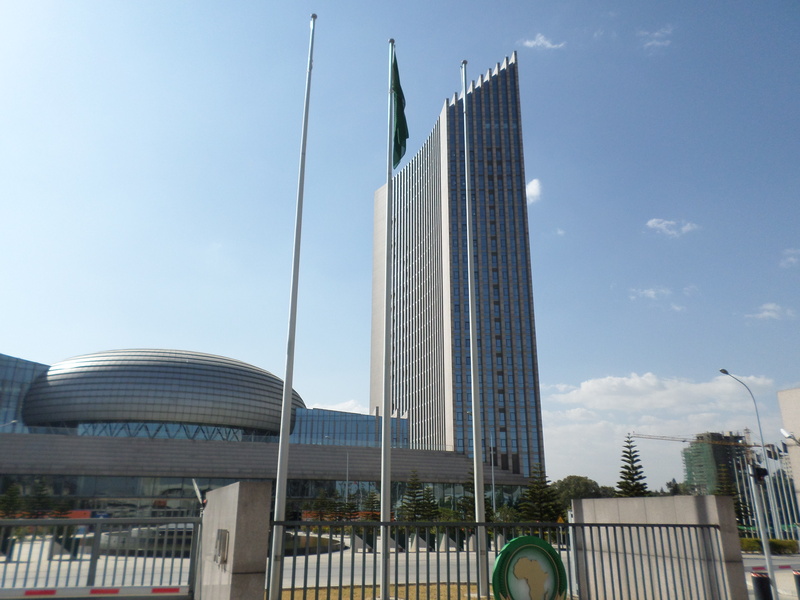 Ethiopia is the oldest independent country in Africa and it is also the second largest country in terms of population in Africa. Ethiopia is one of the oldest christian countries in the world; and formerly, the name of Ethiopia was Abyssinia. Ethiopia has more than 80 ethnic groups and about 200 dialects; each ethnic group has their own culture. Ethiopia has its own calendar and its own alphabetical letters. Visit the inside of the “Fabled Land” with Marvelous Ethiopia Tour! 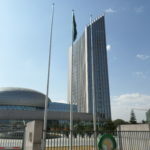 Short Tours of one to three days duration before leaving Ethiopia; these tours are all land journeys as given below, and are found in the nearby areas of Addis Ababa. Besides, it is also possible to visit one of the places by Air on the historic route-Axum, Lalibela, Gondar and Bahidar, flying out one day from Addis Ababa and returning back on the second day. Trinity Cathedral: a beautiful church with a basilica style of European architecture. It is dedicated to Holly trinity, here you will find stained glass windows paintings from the old and new testament in the bible and coffins of Emperor Haile Selassie I; the founder of the church, and his wife. National Museum:The National Museum which is knows for its pale ontological and archeological collection dating back over millions of years houses the famous origin of human kind “Lucy or Dinknesh 3.4 million years old” remains. Other fossils and stone tools are also present in the exhibit. The archaeology section displays findings from the pre-Axumite period up to contemporary times. Ethiopian cultural, traditional and ceremonial costumes are on display as well as the throne of Emperor Haile Selassie and other traditional ornaments. Mount Entoto: It is 3200 meters above sea level, having panoramic view of the capital and the surrounding area. In 1881 Emperor Menelike II made his first capital here. Entoto was abandoned as a site for capital since it was cold, difficult to fetch water up and there was a shortage of wood. Empress Taitu, the wife of Menelik II, gave the name Addis Abba, or new flower. Menelik II, imperial compound on Entoto, the church of Saint Marry , and the smaller museum are worth to be visited. 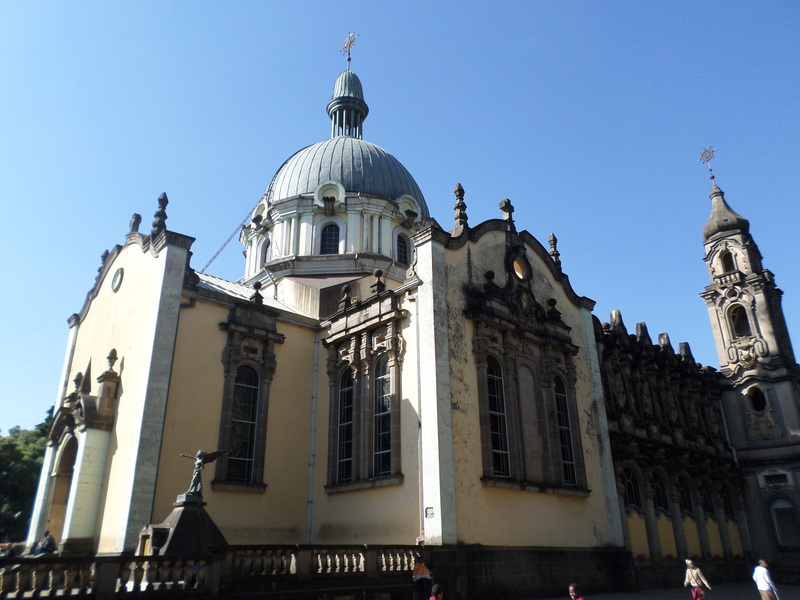 • Trinity Cathedral:a beautiful church with a basilica style of European architecture. It is dedicated to Holly trinity, here you will find stained glass windows paintings from the old and new testament in the bible and coffins of Emperor Haile Selassie I; the founder of the church, and his wife. • National Museum:The National Museum which is known for its pale ontological and archaeological collection dating back over millions of years houses the famous origin of human kind “Lucy or Dinknesh 3.4 million years old” remains. Other fossils and stone tools are also present in the exhibit. The archeology section displays findings from the pre-Axumite period up to contemporary times. Ethiopian cultural, traditional and ceremonial costumes are on display as well as the throne of Emperor Haile Selassie and other traditional ornaments. • Ethnographic museum:Here you can see artifacts, house hold utensils, paintings which reflect church history, crosses, and culture of the country. Since it was palace of Emperor Haile Selassie his bedroom and bath room can be visited. • Merkato:The largest market in Africa, possibly every commodity is on sale. • Bata (Saint Marry church): Where Menelik’s Mausoleum, Etege Taitu and Queen Zawditu are buried. 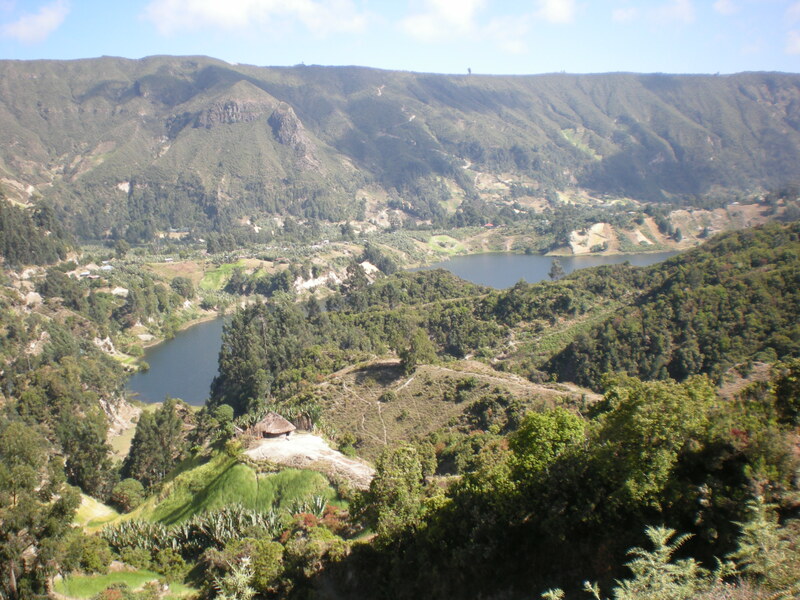 • Mount Entoto:It is 3200 meters above sea level, having panoramic view of the capital and the surrounding area. In 1881 Emperor Menelike II made his first capital here. Debre Libanos: An important monastic centre of Ethiopian Orthodox Church. 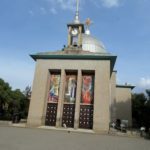 It was set up in the 13th century by Saint Tekle Haimanot, he is said to have prayed for seven years, on one leg. 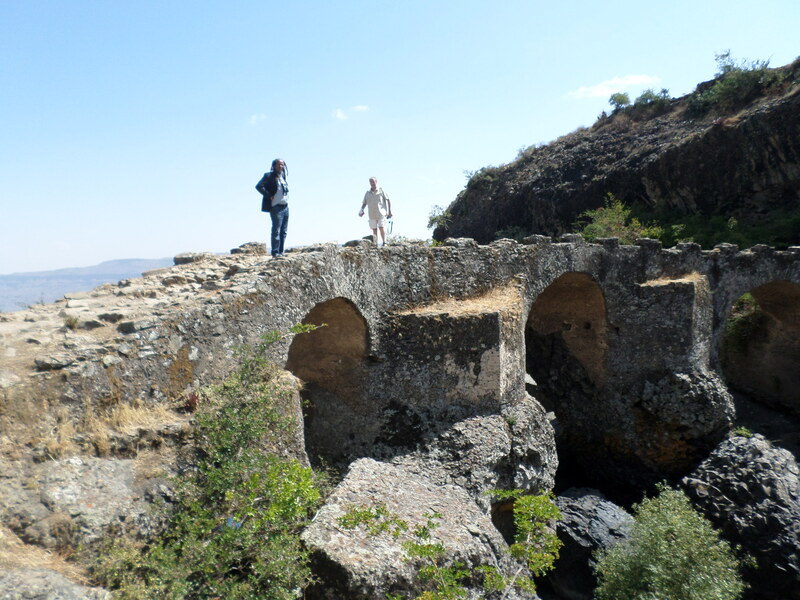 Nearby it, you will visit the 17th century Portuguese bridge and the Jemma River Gorge. On this tour, you can also visit one of Ethiopian’s endemic mammals, the Gelada/ bleeding heart baboon. In this area there are different birds when you go down to the valley. Blue Nile Gorge: it is the truly magnificent gorge, some people compare it with the Grand Canyon of USA. 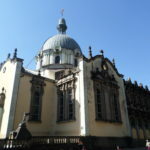 All the sites mentioned above can be a one day excursion from Addis Ababa. Or, it can be for two days. 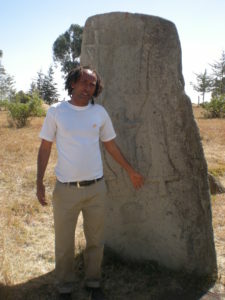 Melka kunture: is one of the archeological sites in Ethiopia. Melka Kunture lies in the upper Awash valley, 50 km south of Addis Ababa, at an altitude of 2000m. Adadi Mariam: is a rock-hewn church located approximately 66 km southwest of Addis Ababa, Ethiopia. A popular tourist destination, the site is believed to have been built in the 12th century. The rock hewn Church of Adadi Mariam is said to have been built by king Lalibela on his visit to mount Zequala. Ambo is found at 126 kilometers from Addis, after 32 kilometer to the south west of Ambo, you can find Wonchi, which is a crater lake. The Lake covers an area of 560 hectares. The highest peak around the lake is about 3000 meters high. The area has dramatically beautiful. You can find aquatic birds, Columbus monkeys. A small monastery on the Island, saint Kirkos church said to have been built by emperor Zarayakob in the 15th century. Awash national park has an area of 827 square kilometres. Has larger concentration of wild life; Oryx, gazelle, greater and lesser Kudu, baboons, warthog, crocodiles etc. It has many species of birds; the thunderous water fall of Awash that smokes as it falls over basalt in the gigantic falls, the hot springs surrounded by the palm trees etc. Lake Zeway is one of the Rift Valley lakes in Ethiopia. It is 164 km from Addis Ababa and located to the south, in Oromia region. Lake Zway is rich in Bird Life, and you can find also a significant population of hippopotamuses on the lake. A boat ride can take you to the islands in the middle of the lake, where you can explore wildlife and intact nature. These lakes are rift valley lakes, and on the way you can also visit Lake Zeway . Here you can visit birds of different kinds. 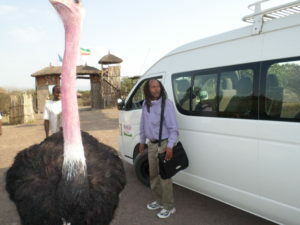 Nearby head quarter of Abijata-Shalla, you can see Ostrich. 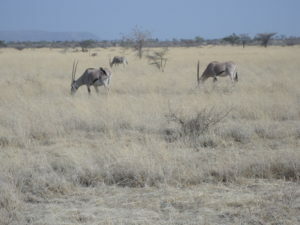 From wild life; warthog, gazelle and jackals are some of the mammals which are commonly seen in the park. Along the shores of Lake Lango, you can visit different species of birds and it is popular for water sports; Lake Langano is a base to visit other sites since there are resort hotels. On the way from Addis Ababa to Wondo Genet, you can visit different rift valley lakes like Zeway, Abijata-Shalla which are habitates of differsnt birds. In Wondo Genet, near by the hotel, on the hill, it is good to take walk for its scenery, birds, and monkeys. The hotel is good to relax as it is surrounded by nature. On the second day, you can drive further to Awassa town, to visit the lake, the fish market, birds along the shores of Lake Awassa . In the after noon return back to Addis Ababa. It lies at the bank of Awash River , where volcanic spring water gush out. 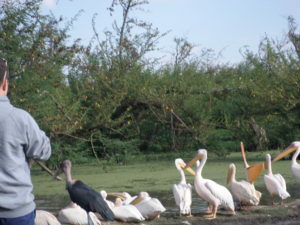 You can visit numerous birds, crocodiles, monkeys, hippos. Because of therapeutic effect of the spring water and warm climate, it is popular by weekenders. It is found about 50 km from Addis Ababa to the west. You can visit different birds like wattled Ibis, Crowned eagle, Banded barbet, Yellow fronted parrot, Abyssinian cat bird, black winged cat bird etc. Wild life, you can find, Menelik’s Rush buck, Columbus monkey, Duiker, warthog, Porcupine. 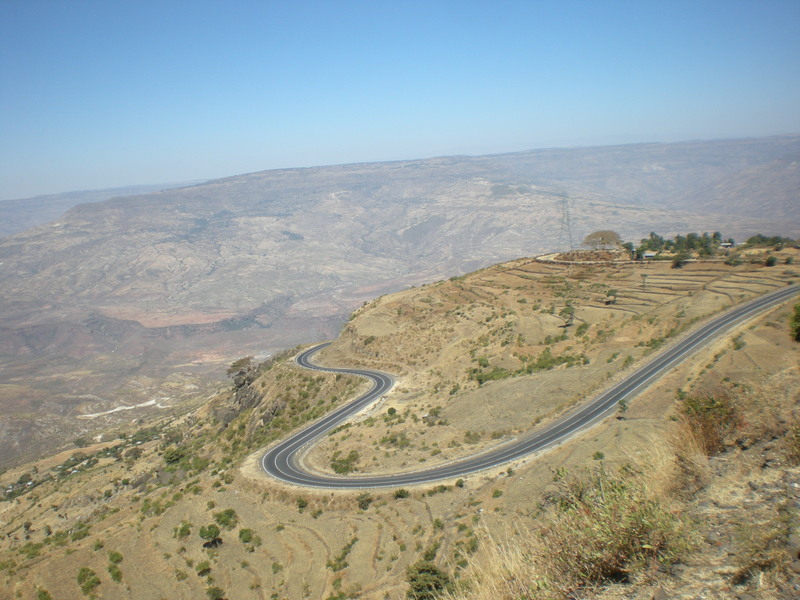 Debre Zeit is situated 40 km south east of Addis Ababa on the highway to the eastern and southern part of Ethiopia. It has many lakes; the lakes are Hora, Bishoftu, Babogaya, Kuriftu and Chelaka. All the lakes are in close proximity to each other, which makes it easier to visit them all at once. Debre Zeit is a spot for birds; so beautiful to explore the lakes. Debre Zeit has luxurious resorts and breathtaking beaches. Mount Zequala, 75 km south of Addis Ababa, it has an extinct volcano with a beautiful crater lake. The mountain has a monastery, situated at the top of the mountain. At the top Mount Zequala is 3000 meters high ASL. 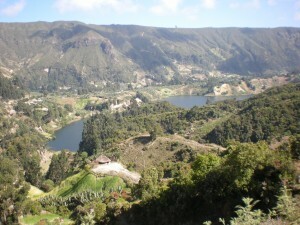 The Crater Lake is beautiful and surrounded by plants, it is considered to be holy. The walk around the church (Abune Gebre Menfis Kidus / Abbo) offers stunning views over the surrounding countryside; the forest on the Crater Lake supports different species of birds. This area is good for fit people to take trekking, starting from the foot of the mountain to the top. Senkelle Swayne’s Hartebeest Sanctuary: is a protected area found 53 km south of Shashemene to the Arba Minch road near the town of Aje. 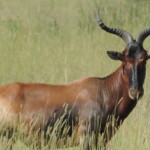 The area is reserved especially for the protection of the Swayne’s Hartebeest and it has an area of 54 square kilometers. 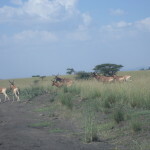 Although the Senkele sanctuary is primarily established to preserve Ethiopia’s endemic Swayne’s Hartebeest, the sanctuary has also other wild animals and different species of birds. Awassa is a city found 275 Km South of Addis Ababa; it is the capital city of the Southern Nations, Nationalities, and Peoples’ Region (SNNPR). Awassa city lies in the Great Rift Valley region; on the eastern edge of Lake Awassa with an elevation of 1708 meters above sea level. In this town more than 46 different ethnic groups live together. Important attractions in Awassa include Lake Awassa which has 16 km long and 9 km wide; its surface area is 129 square kilometers. It is good to take boat trip on Lake Awasa to see hippos. Awasa is rich in bird life like Marabou, Malachite King Fisher, Spur Winged plover, Pygmy Geese, Black Winged Love Bird, Ducks, Darters, and Cormorants are some of the birds. The fish market which is found within the city, colobus and Grivet monkeys, Tabor Hills which has wonderful views and the daily colorful market in the city are some of the attractions.